Are you fed up with the generic ringtones of your phone? Here is a list of free ringtone maker download. There are free mp3 ringtone maker software, free iPhone ringtone maker software and free Motorola ringtone maker software for you to use creatively! 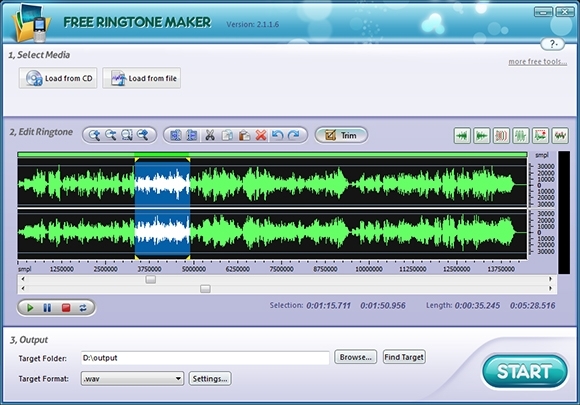 These freeware ringtone maker software will help you create your own ringtones from your favorite songs! This handy freeware software helps you create your ringtones in a simple way – it is 100% free. 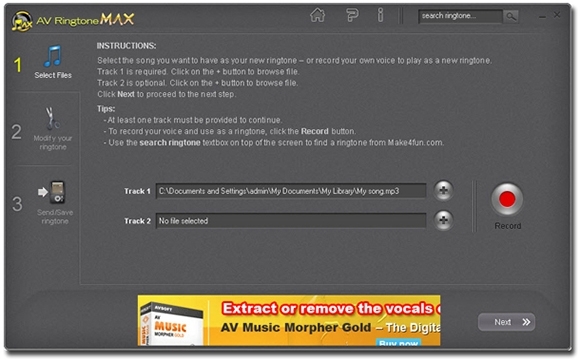 Supports many audio file formats like WAV, MP3, WMA, audio CD, etc. Personalize your ringtones with a number of effects like fade in/out, echo, etc. 2. Wavepad – Create personalized ringtones quickly and easily! 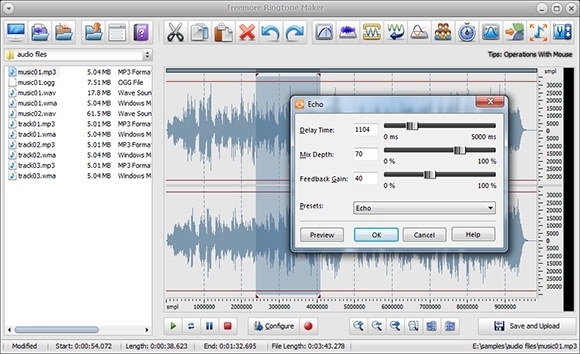 Use Wavepad Audio Editor from NCH Software to turn your favorite songs into ringtones fast! Apply various audio effects – echo, reverse, etc. Make your ringtones from songs in a simple three-step process using this free desktop ringtone creating tool. Supports various formats – MP3, WAV, M4R, M4A, OGG, AMR, etc. Fully supports various mobile phone brands like Motorola, iPhone, Nokia, etc. 4. Fried Cookie Ringtone Maker – Create ringtones fast and easy! This MP3 ringtone converter software will help you trim and convert your favorite tunes to 30-second phone ringtones. Supports many phone formats – iPhone, Andriod, Blackberry, Sybmbian, etc. 5. Free ringtone software – with Voice Recorder! 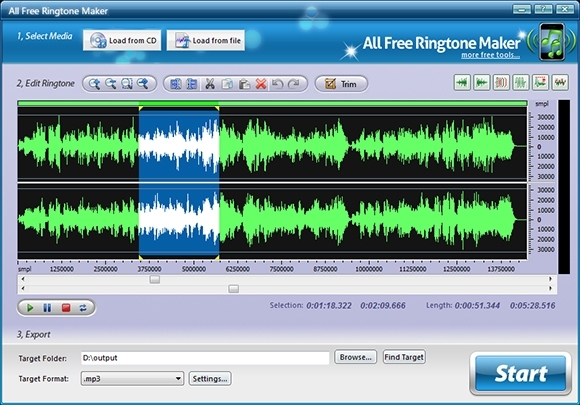 This desktop freeware software is an easy way to create your own personalized ringtones. 6. 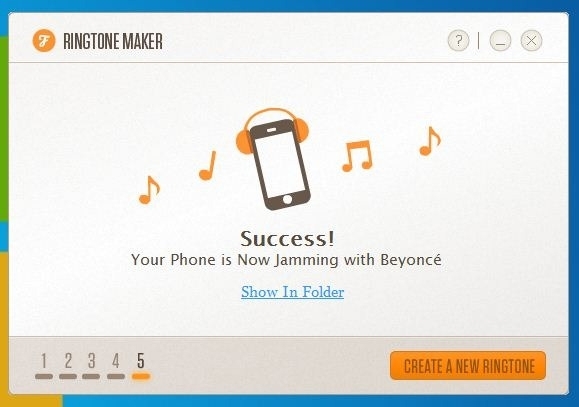 Freemore Ringtone Maker – Completely free and easy! Express your personality by creating your ringtones from your music library using Freemore ringtone maker. Add audio effects like echo, stretch, etc. 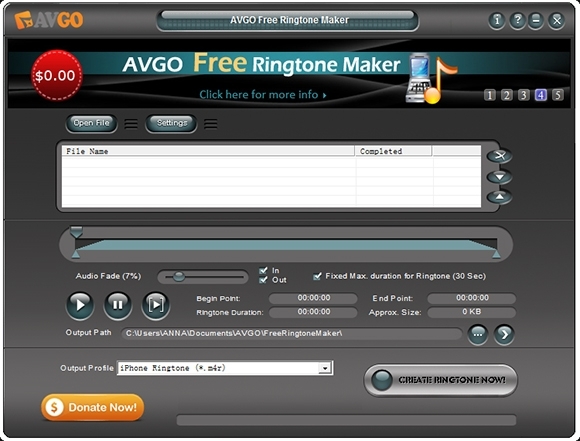 This software from AVGO International will help you create a ringtone out of your favorite tune or even funny sounds easily! Almost all audio and video file formats supported – MP3, WAV, AVI, FLV, 3GP, MP4, etc. Output formats compatible to various phone types like Nokia, Samsung, iPhone, etc. Be original and create personalized ringtones using this handy ringtone creating tool – 100% free. Supports different devices – Blackberry, iPod, iPhone, etc. 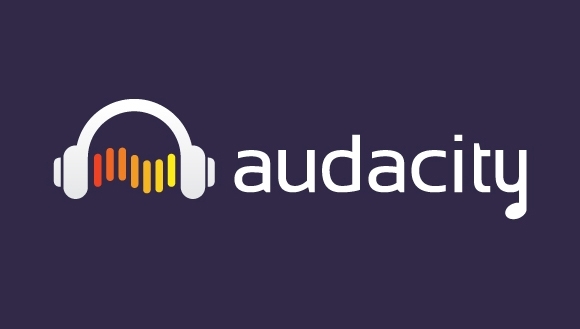 Audacity is a versatile audio editing tool (100% free) that will make your ringtone creating process a breeze! Various help resources – help guides, video tutorials, Wiki, manual, forum. Numerous effects available – Amplify, Auto Duck, Leveler, Hard Emitter, etc. With all these excellent audio editing tools at your disposal, you can let your imagination run wild and express your style through your personalized ringtones – and all of them are completely free!